This week we looked at two things that I want to combine today. 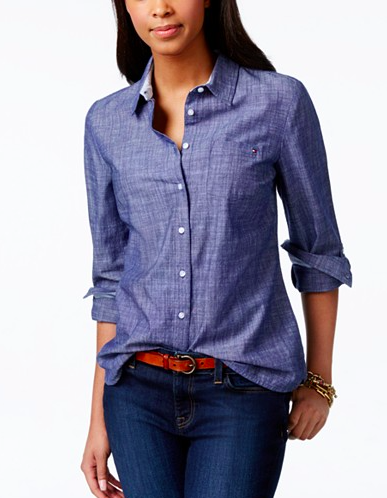 A classic that you can wear all yearlong. 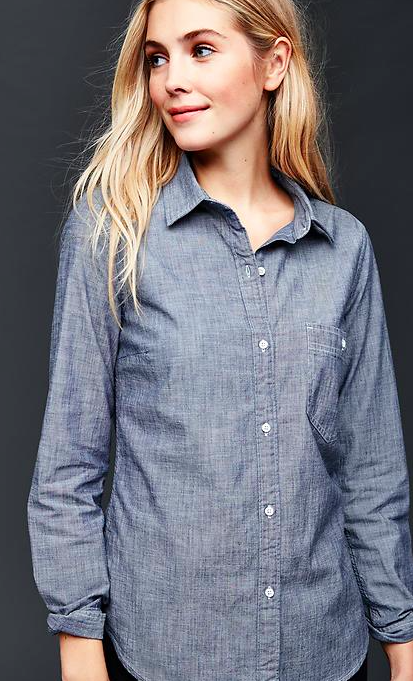 The chambray button down. It's simple, versatile, and perfect for the dead of winter with a crewneck sweater or a hot summer night with white shorts and heels. Simple and so chic. Wear it with patterned shorts in July and button it up with a statement necklace in October. 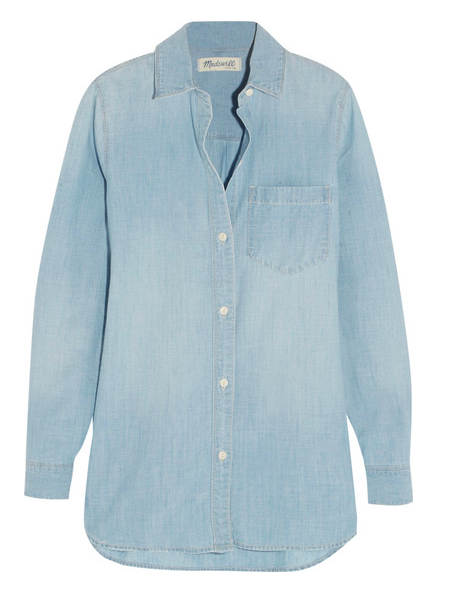 Perfect light wash that is unbelievably soft. A lived in shirt. I love this look. Wool skirt, tights, and chambray. Effortless. I like this shirt because the texture has almost a linen look to it. Something less rugged. Chambray is simple and easy to wear with pretty much anything in your closet. Seriously. 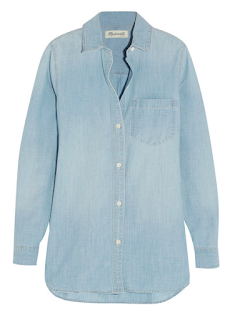 Pair it with jeans, shorts, printed pencils, under a cotton dress. You name it. It's your do it all, four season top.